Choosing the DENQBAR DQ-0247 means choosing the non-plus ultra! This model weighs full 340 kg. The impressive 13-HP engine of the latest generation and the powerful exciter system ensure the perfect drive with 3,800 vibrations per minute. The ultimate compression pressure of 42 kN ensures best results. 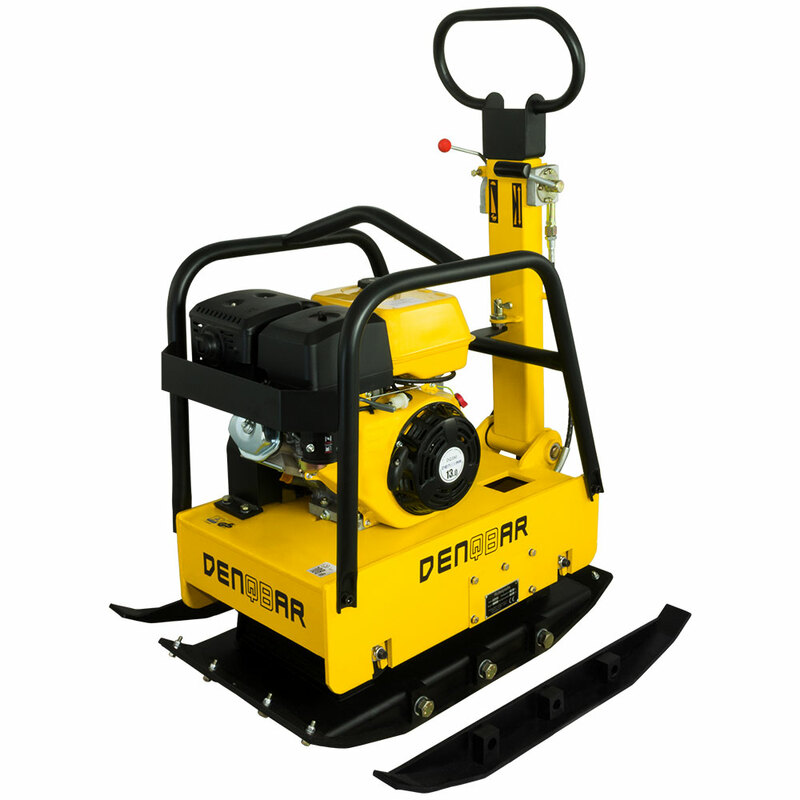 Just the perfect plate compactor for even the most demanding surface conditions. Datasheet of the DENQBAR DQ-0247 plate compactor to download. The operational weight is a decisive criterion as it is important for the compression performance. 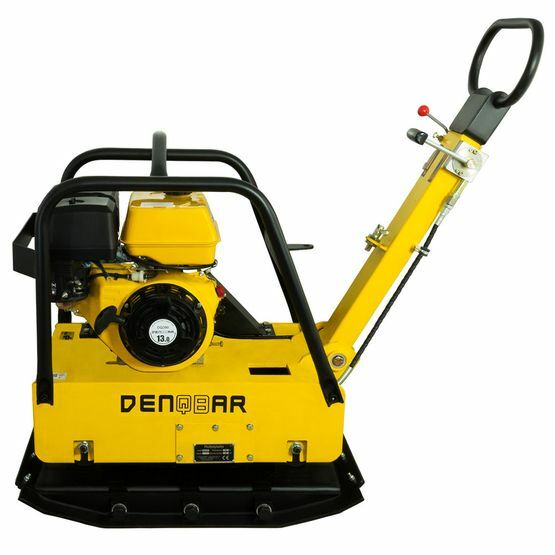 Although a plate compactor is heavy, it is still easy to guide in use. But when the compactor is not running it is just the opposite. Therefore, DENQBAR has integrated a folding wheel kit with its models! To install it, slightly raise the plate compactor with the handle grip and hook the wheel kit into the provided fixture. Since the extra-large and stable wheels protrude laterally over the base plate, safe moving is not hard to master even through uneven or sandy terrain. In the course of the test "Geprüfte Sicherheit", it is determined whether products comply with all legally established health and safety directives (electrical safety, noise emissions, etc.). 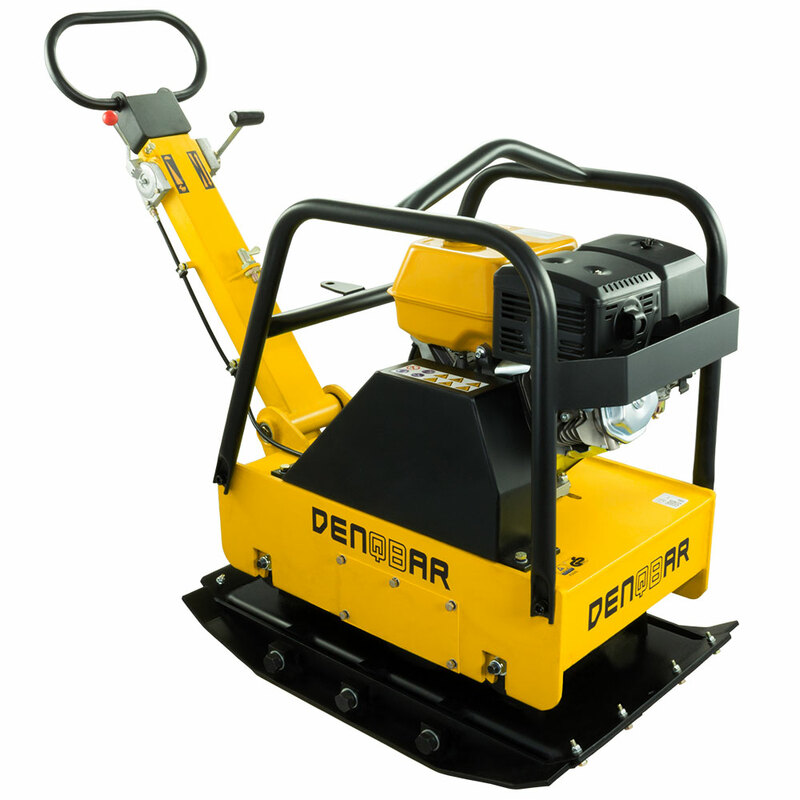 You will not take any risks with the plate compactor DQ-0247! TÜV Rheinland confirms that with the certificate No. S 50346570. 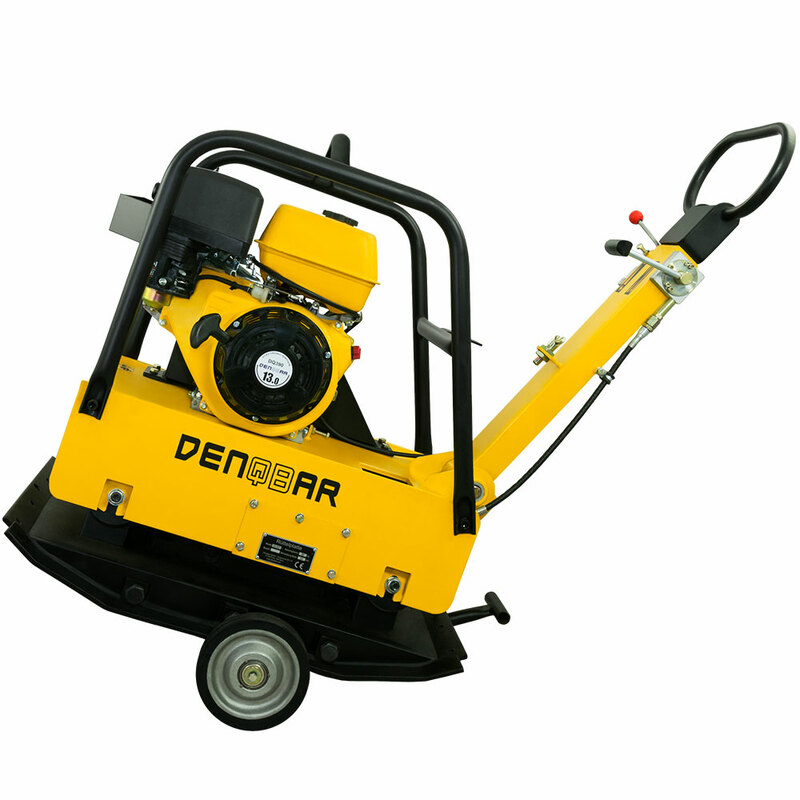 As all DENQBAR plate compactor, the DQ-0247 is very easy to handle and is even more equipped with a reversible mode. By simply moving the lever, you can switch between forward and reverse mode. Due to the extra-wide (59 cm) baseplate, you will compact faster more area. With such a tool you will be perfectly equipped for compacting in house, road and landscaping or track construction. The possibility of stationary compaction, the vibration-damped guide handle as well as the automatic shut-off, which protects the engine from oil deficiency damage: just benefit from all these advantages of this professional plate compactor. 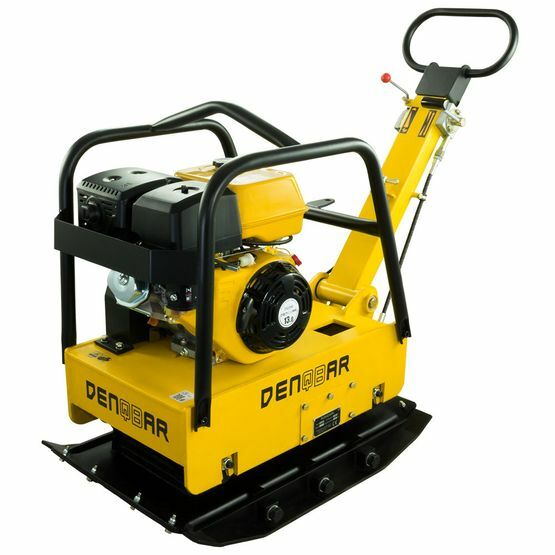 With this model, we introduce you to the premier class of compacting machinery. You are perfectly equipped for all tasks with the sheer power of the DQ-0247, even in absolute professional areas. 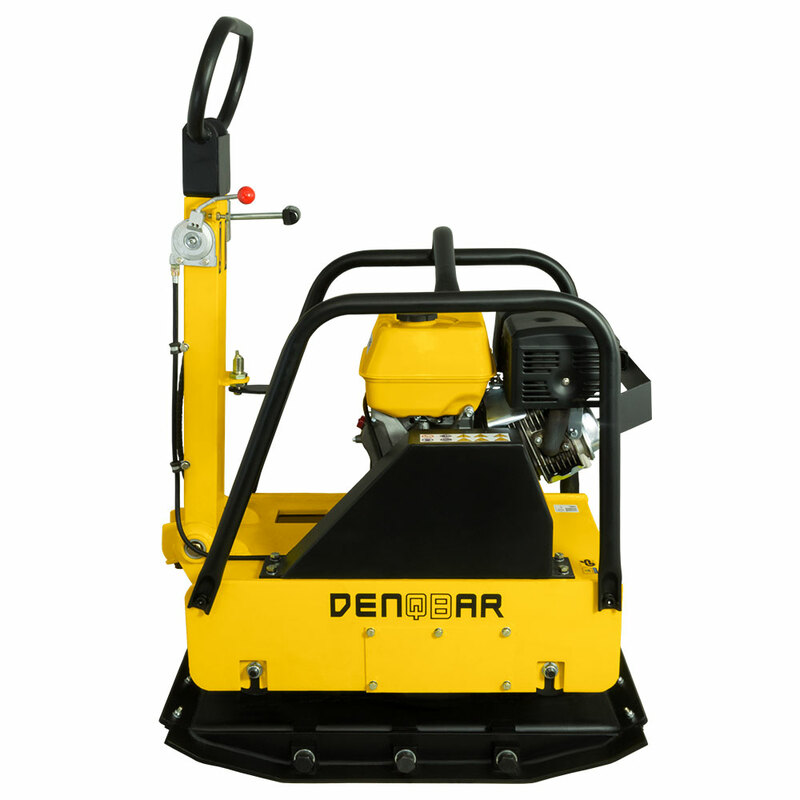 Maximum performance, durability and functionality combined with an efficient mode of operation are what this high-end plate compactor is all about. And still, our name is a guarantee for a great price-performance-ratio.